Vision issues can be corrected due to extensive research performed by experts over the years leading to improved technology. This mainly refers to production materials advancing from heavy glass to lighter plastic. It has been proven that plastic not only is affordable but can actually respond better to correction needs. Professionals have developed eyeglasses and contact lenses to suit all tastes. Available in many shapes, size and colors, they no longer just correct eyesight, but can also protect the eye from the malicious action of UV sun rays. Aside from this, their outer appearance has suffered many changes to respond to aesthetic needs as well. Eyeglasses are made of frames with adjusted lenses fitted in the frameset. Manufacturers use plastic for lenses, either CR-39 - a plastic polymer or polycarbonate. This material has increased index of refraction and better UV rays absorption degree than glass –previously used for the production of eyeglasses. Contact lenses were manufactured in early times using glass. But this material proved to cause eye irritation leading to a research for more suitable materials. Polymers started to be the base to produce contact lenses, still they needed to deal with oxygen permeability issues – oxygen didn't reach the cornea through contact lenses. 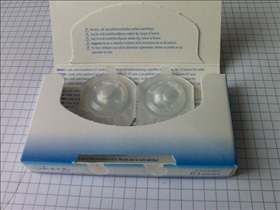 After extensive research, silicone hydrogels were used to manufacture contact lenses as they resolved the oxygen problem. Contact lenses do not have frames but some versions have bifocal, trifocal or astigmatism correction features. 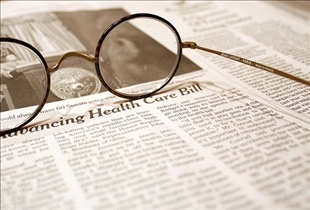 Eyeglasses were needed to address sight short comings such as myopia. The doctor prescribed the diopters needed to correct sight for each eye. Patients have them custom made and start wearing them every day. You also have to wear eyeglasses to protect your eyes from UV rays which are becoming quite powerful in recent years. Eyeglasses are made of lighter plastic materials so they are more comfortable. Manufacturers have also given them different shapes, colors and themes to suit the styles you want. Contact lenses were the practical and cosmetic way to protect the eyes. They correct sight issues being in the same time very easy to use and providing aesthetic features too. Cosmetic contact lenses can change the eye color if you wish to change your look. You can experiment with different colors. When wearing eyeglasses you can only see clearly what is before you. Angled side vision will have a certain degree of distortion. In order to see, you need to turn to that direction. Contact lenses which are fitted on the eyes allow you to have a panoramic view so you can distinguish objects or persons placed on each side of the eye. Eyeglasses are made of plastic lenses fitted in frames, while contact lenses are made of silicone hydrogels and do not have frames. Eyeglasses correct sight issues and protect from UV rays; contact lenses are preferred for their practical and cosmetic look at the same time. Eyeglasses can only provide clear front vision, while contact lenses give panoramic vision as they are directly applied on the eye. Some contacts versions have bifocal, trifocal or astigmatism correction features. Which one is more comfortable to wear? I like contact lenses. It's very comfortable for me compare with glasses.